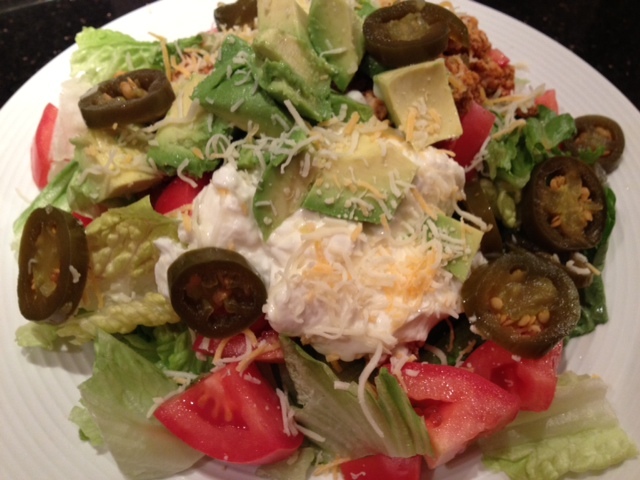 This is my version of a taco salad…minus the taco! 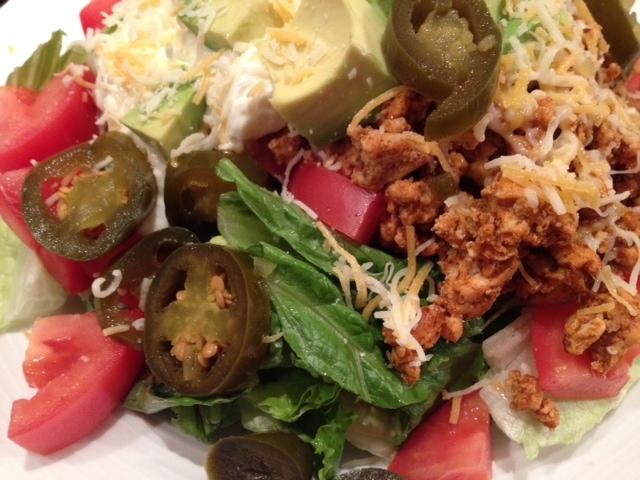 This is a great salad because it’s filling and full of bold, Mexican-influenced flavors that really satisfy. It’s low carbohydrates, too! 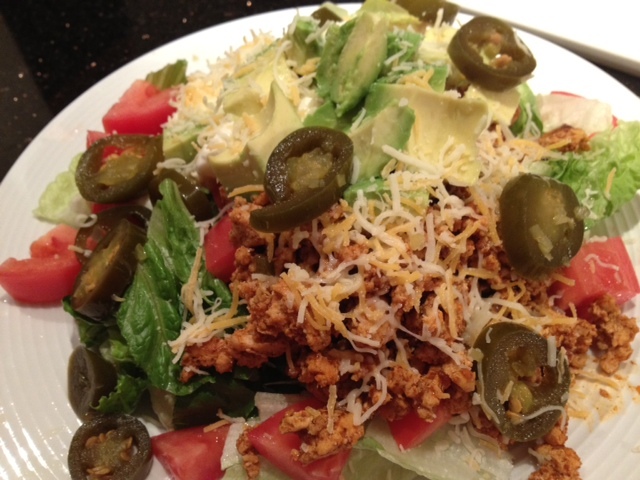 This salad is so good, you won’t even miss the taco! Heat 1 tbsp of olive oil in a pan on medium heat. Add the ground turkey and cook for about 15 minutes until the turkey is lightly brown and cooked through. Use a spatula to make sure the meat is broken apart into small pieces. Add in the dry taco seasoning, 1/4 cup of water and the hot sauce and mix well. Turn the heat off and allow to cool slightly. 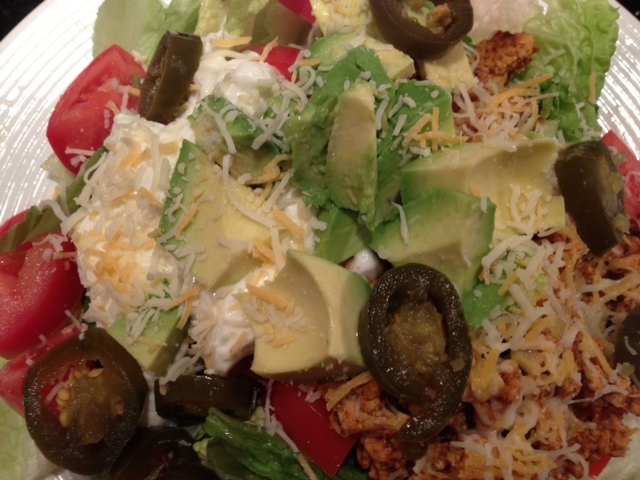 Plate the lettuce, tomatoes, avocado, jalepenos and sour cream and add a heaping spoonful of the ground turkey mixture on top. 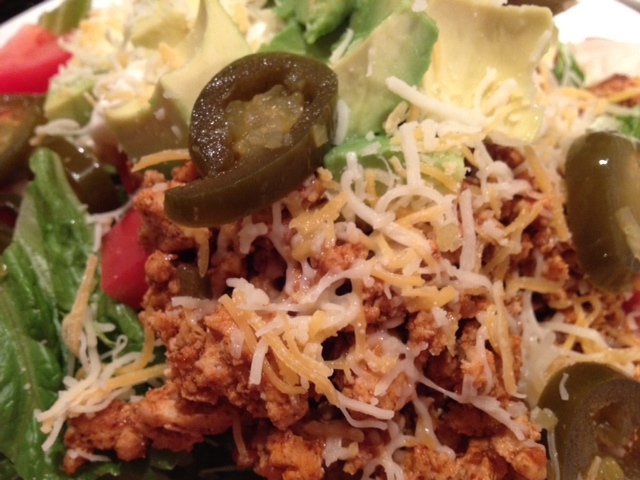 Sprinkle the cheese over the salad so it melts with the heat of the turkey meat.